The original insult comic, Don Rickles was usually introduced with a wink as “Mr. Warmth,” his entrance music a bullfighter’s trumpet fanfare. He was fearless. He publicly taunted the biggest bulls in America—Frank Sinatra, Dean Martin and Ronald Reagan among them—and left them all howling. Rickles passed away in April, but as a parting gift, the comedian left a YouTube series called Dinner with Don, 13 episodes that feature chats over dinner with talented younger artists and celebs—Snoop Dogg, Jimmy Kimmel, Sarah Silverman, Amy Poehler, Paul Rudd, Marisa Tomei and others. AARP Studios coproduced the series. 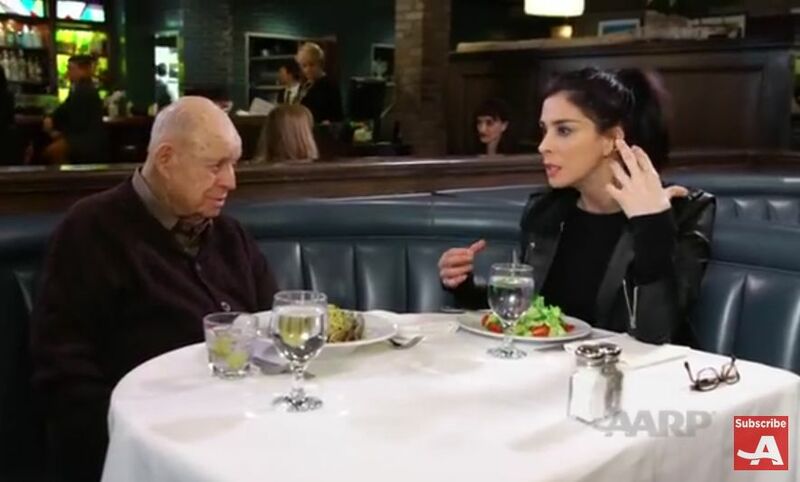 Today we're sharing an episode with Sarah Silverman in which the two comedians talk about Don's trailblazing approach to standup comedy, Sarah's dream retirement, and Don's idol Milton Berle.